This is another challenging route but only because of its length at about 5 miles. 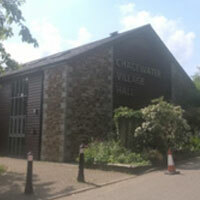 As with the other Chacewater Trails, it starts and stops at the main Chacewater car park, although this time it moves off in an entirely different direction up along Church Hill and southwest towards the hamlet of Todpool. So, after passing our fabulous Village Hall and observing the lovely Millennium Village Green (where you might wish to picnic later or simply sit and take in the surrounding landscape or life in and around our pond), you take a deep breath before trekking up past our Community Primary School and then St Paul’s Church and its splendidly castellated steeple. 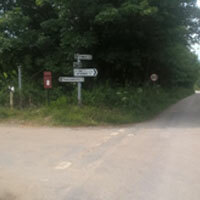 Up, over the hill and through the crossroads near Creegbrawse – which offers (in winter only!) a glimpse of what is to come – before descending down towards the hamlet of Todpool. 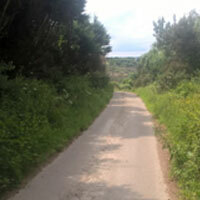 At this point you connect with the old Portreath to Devoran Tramway down and left along the Poldice Valley, which has long since been used for recreational use, principally as a cycleway. 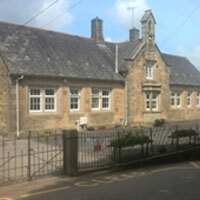 With both sides of the valley littered with the spoil and buildings from its mining past, this place (which borders the adjoining Parish of Gwennap) is special as it conjures up all sorts of thoughts of life in times past. Eventually and if the weather is good, time can be taken for reflection over a cuppa and eating choices at Bon Appetite as you enter the little village of Twelveheads. Refreshed, you then move along left and across the small bridge into Twelveheads itself (keeping the Methodist Church to your right) before climbing up and out via the roadway to the left at the junction, signposted Todpool and Creegbrawse. Winding up a little way along this road for just over 300 metres, at the sign for Hilltop Cottage you take a right turn along a minor road running parallel to the Chacewater to Twelveheads road below; which offers picturesque views of the steep sided landscape across the valley bottom. Descending gradually past the appropriately named Rising Sun Farm (check out the frame above the gate) before joining the canopied valley road back into Chacewater and the car park once more. 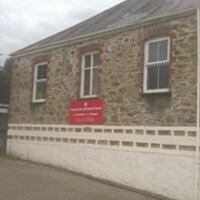 Parking – The main Chacewater village car park behind the Kings Head pub. 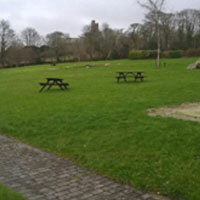 Picnic Areas – The nearby Chacewater Millennium Green before or after your walk, but the Poldice Valley also offers a number of opportunities for a snack, fluids and rest. Eating and Shopping – Along Fore Street you will find a couple of traditional village shops, the Old Market (Fruit, Veg, seasonal plants and Deli) for coffee, our local Bakery and Fish and Chip shop. As already mentioned, on good weather days the menu at Bon Appetite (as you enter Twelveheads village) is a must! Public Houses – The Kings Head, Chacewater village. 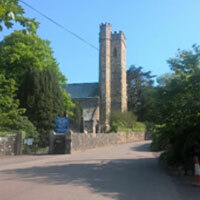 Family and Children Friendly – Although lengthy (about 5 miles in all), after the initial climb out of Chacewater this trail offers something for the whole family because of its geography and historic significance. It also offers many resting points from which to consider the landscape. Cycle Trail – Yes, for the mountain biker, just don’t be put off by the initial climb because it is worth it. Horse Riding Trail – Recommended along the Poldice Valley in particular but horses are frequently seen along the Creegbrawse and Twelveheads roads also. Walking Trail – Generally level and easy underfoot, this is one for walking boots, wellies or trainers. 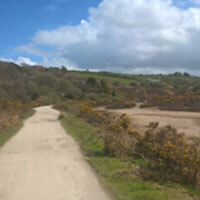 Disability Access – Whilst not recommended in full, parts of this trail could be walked by a person with limited disability and certainly can be undertaken on a well charged mobility scooter. Creegbrawse Crossing leading down into Todpool and a glimpse of the Poldice Valley ahead. The Church Hill – Creegbrawse Crossing leading down into Todpool and a glimpse of the Poldice Valley ahead. 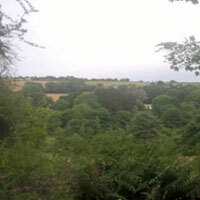 Looking southwest along the Poldice Valley which follows the route of the old Portreath to Devoran mineral tramway. The chapel is famous for Billy Bray who would probably have gone to church and then preached here. 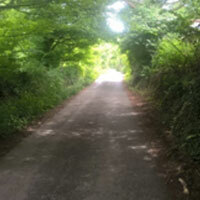 The Twelveheads to Chacewater valley offers classic countryside landscape views all year round and is a super example of a typical canopied connection road between villages.